Enjoy your Ethereal fantasies with these worry-free Pop Up Foils that dispense nice and easy. No rips, no tears, one pop up with one pull. Easy? We thought so too. Each rosé colored sheet also comes with an embossed finish that helps grip to the hair much easier. NEW 5"x11" Ethereal Edition Pop up Foils! These pop ups slide out easy with an embossed finish. They don't stick or tear when coming out of the box! No slip, ultimate grip. Pre-folded edge so you can go from the box, to the hair. Amazing Ethereal color that your clients will LOVE! 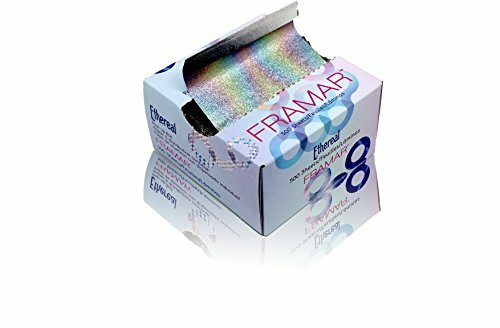 If you have any questions about this product by Framar, contact us by completing and submitting the form below. If you are looking for a specif part number, please include it with your message.